Dave Penman, General Secretary of the senior civil servants' union the FDA, responds to Tribune's article on the civil service under a Corbyn government. What are we to make of the slew of anonymous civil servant revelations that have been published of late? Including, of course, the one featured last week in Tribune. Each author seeks to reveal the inner workings of the civil service, which conveniently are at odds with their own political philosophy. The premise of the articles is that they alone can pull the curtain aside to reveal the true workings of an organisation of 400,000 staff in over 200 separate organisations. Overheard conversations where civil servants discuss the politics of the day are proffered as evidence of a collective groupthink. In the last fortnight these authors have revealed the civil service to be both a remain liberal elite organisation bent on frustrating the will of the 52% who voted for Brexit and a pro-business, fiscally conservative bureaucracy hostile to an incoming Corbyn-led Labour Government. Inevitably these authors focus on the mythical beast known as the ‘senior civil servant’. Allegedly public school-educated, insulated from reality and in thrall to the latest neoliberal management consultancy. These are my members. Trade union members and activists like any other, indeed often in proportionally greater numbers than in the other civil service unions. Senior civil servants can manage large swathes of a government department, with thousands of staff and budgets that can run in to tens or hundreds of millions. Many are professionals, lawyers, policy experts, economists or diplomats. The ‘Fast Stream,’ the civil service graduate development programme, is universally acclaimed and despite its rigorous entry qualifications, has around 30 applicants for every vacancy. Many of these will go on to be the senior civil servants of the future. Every one of those successful candidates had a choice. They could have earned many times the salary offered to them by the government, but instead they chose public service. If they reach the Senior Civil Service (SCS), they will have competed on merit on many occasions, and each time been considered the outstanding candidate. To break into the SCS they will have had to compete with external candidates in a selection process overseen by the independent Civil Service Commission. Every year I speak to thousands of these public servants. Like the rest of the population, they are worried about affordable housing, education for their kids, accessing healthcare, caring responsibilities and the cost of public transport. As they ascend the career structure, their salary falls further behind what would be available in both the private sector and the rest of the public sector. At the most senior levels, all the available evidence suggests they are paid about a third of what equivalent jobs would be elsewhere. Yet they stay. They share a commitment to the values of public service and to an impartial, professional and permanent civil service. They are dedicated to trying to make the UK a better place: it’s why they came in to public service in the first place. Their jobs are tremendously challenging, but also enormously rewarding. Most work at seven to ten hours extra every week without compensation. They are trade union members like you or me. In the 2011 public sector pensions dispute, they voted in significantly greater numbers for strike action than any other civil service union. In 2014, they went out on strike to challenge an unfair and divisive performance management system. They agitate, campaign, organise, negotiate and represent in numbers that most unions would be jealous of. Peddling lazy, tired old tropes about this “elite” – as the anonymous civil servant did in this publication last week – simply further the agenda of those who wish to undermine the values of an impartial civil service. Left or right, these individuals see the civil service and its challenge to ill thought-out ideology merely as a political obstacle to be overcome, easier if you assign it malevolent intent. The role of the civil service is to speak truth unto power, to provide the best impartial advice to ministers, and then to implement their decision. Every government has at times railed against this. Blair complained of the knives in his back. Maude saw the fragmented nature of delegated authority as an excuse to frustrate greater centralised power. I have been around the civil service for over thirty years. I worked in the Inland Revenue and what is now the Department of Work and Pensions. I was a union activist and an organiser for PCS before joining the FDA, where I ultimately became General Secretary. I have nothing but pride for the members of my – and every other – civil service union. Our members do an incredible job, despite being underpaid, under-resourced, and frequently subject to attacks that they are unable to publicly respond to. Brexit has been the lightning rod for these attacks from the right. Recently Mark Sedwill, the Cabinet Secretary and head of the civil service, responded to these by saying that the civil service operates ‘Operation Fact’ not ‘Operation Fear.’ He, like all other civil servants, spoke the truth. Which is all any government has to fear from the civil service. 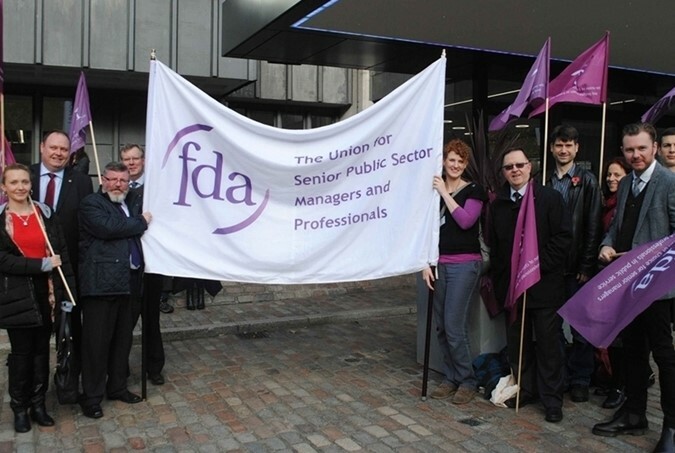 Dave Penman is the General Secretary of the FDA, a trade union for UK senior and middle management civil servants and public service professionals.